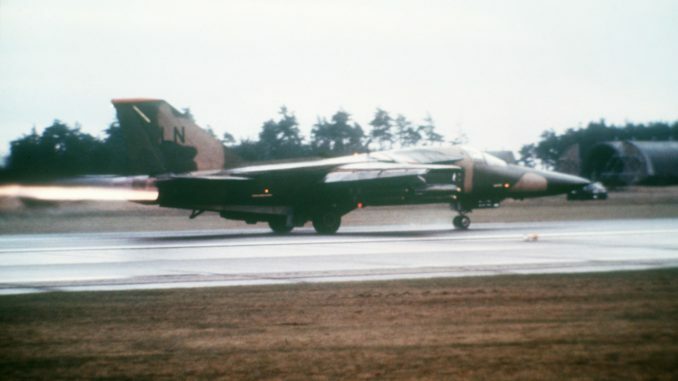 On April 14, 1986, at 5:13 p.m., U.S. Air Force F-111F Aardvarks from the 48th Tactical Fighter Wing launched from Royal Air Force Lakenheath on the orders of President Ronald Reagan. The airstrike was in response to the terrorist bombing of the La Belle Discotheque in West Berlin on April 5 that claimed the lives of two U.S. soldiers and wounded more than 200 people. The operation, designated “El Dorado Canyon,” was the conclusion of extensive joint service and multinational military cooperation designed to ensure the complete and total destruction of terrorist training camps linked to the attack in the African nation of Libya. EF-111A Ravens from RAF Heyford and U.S. KC-135 and KC-10 tankers from RAF Stations Mildenhall and Fairford, joined the strike force as they embarked on their 7,000 mile round-trip flight, operating in complete radio silence. As part of the battle plan, the Air Force rendezvoused with the USS Coral Sea and America aircraft carriers who in turn launched A-6E Intruders, EA-6B Prowlers, F/A-18 Hornets and A-7 Corsairs to provide additional air-to-air protection and added air-to-ground support for the Aardvarks. The mission was hailed as a success, marking the longest combat mission flown by a tactical aircraft for the Air Force at that time. However, it was not without setbacks. 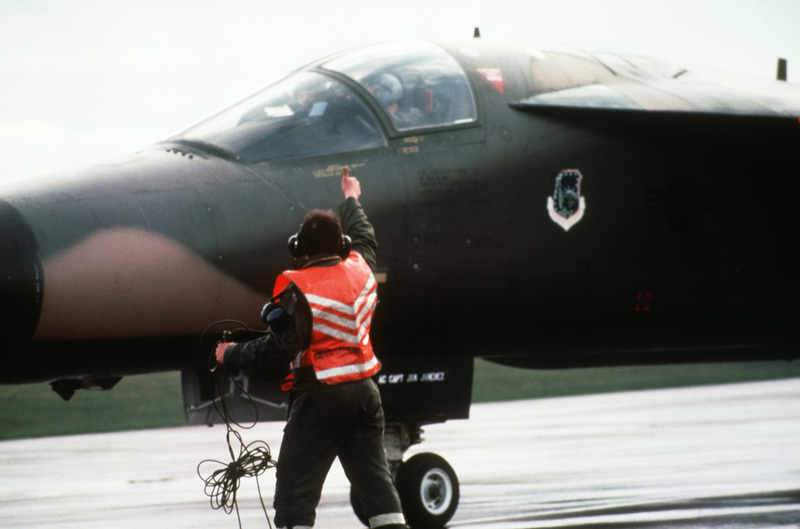 Tragically, one F-111, call sign “Karma 52” was lost over the Gulf of Sidra, claiming the lives of Captains Fernando L. Ribas-Dominicci and Paul F. Lorence. 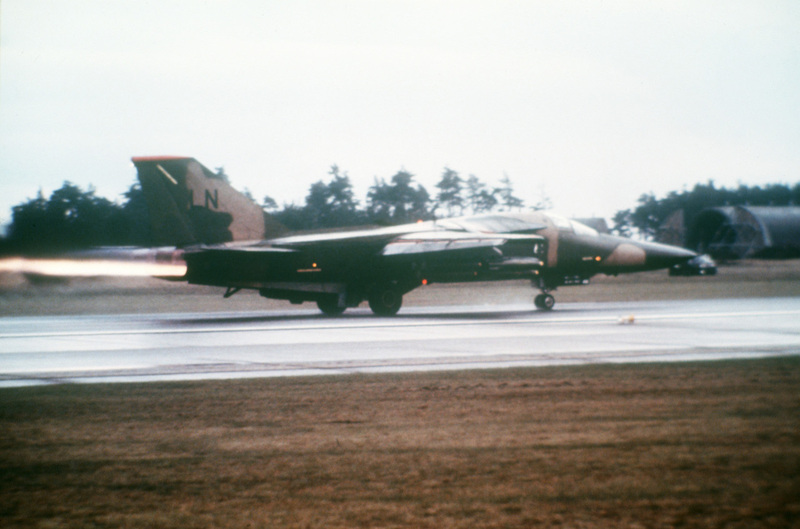 Reflecting on this mission 30 years later, Operation El Dorado Canyon serves as one of the earliest examples of the U.S. Air Force’s global strike capability. Although historically it is not viewed as flawlessly executed, it’s a representation of America’s unyielding position to deny, deter and dissuade acts of terrorism from taking place anywhere in the world. Today, the F-111 sits prominently at the air park here, a symbol of the base’s proud heritage. 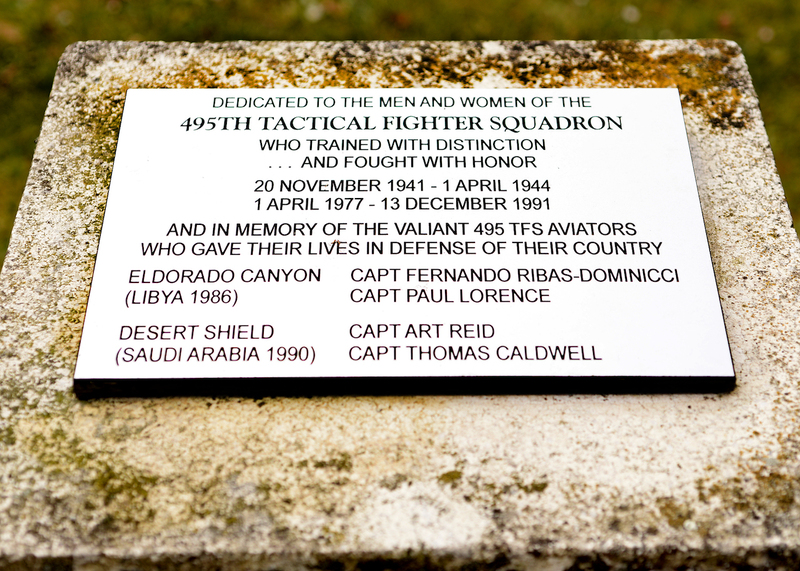 Across from the 48th Medical Group hospital stands a monument dedicated to the men and women of the 495th Tactical Fighter Squadron, with Ribas-Dominicci and Lorence’s names inscribed on a plaque in memory of their service and sacrifice. Airmen of the 48th Fighter Wing will always remember the fearless demonstration of conviction and sacrifice of the men and women who served before them. They will forever stand as a shining example of what it means to be an American Airman, a warrior, and will never be forgotten. the EF-111A was not British, it was American, yes flown out of RAF Upper Heyford. I was at Lakenheath in the 495th when we launched El Dorado Canyon. I remember Capt Ribas, posthumously promoted to Major and Capt Lorence , both excellent aircrew. Many thanks Bob… this article was produced by the 48th FW Public Affairs team, who would most certainly know these were not British aircraft, but rather flown from British bases. It was a poorly worded sentence, and I have amended T.Sgt.Plew’s article to more clearly represent that fact.